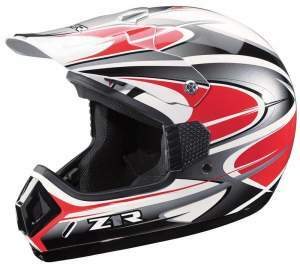 Great styling and proven performance make the Roost 3 an incredible everyday off road helmet. Whether you’re riding at the local race track or heading to the hills for an all day adventure, the Roost 3 has you covered. With an advanced, lightweight molded ABS/Polycarbonate shell and removable liner and cheek pads, the Roost 3 delivers performance and comfort for those long rides. Adjustable vents channel cool air in on warm days and can be closed for cold weather riding, offering total versatility. For a complete listing of available colors and to locate a dealer near you, visit www.Z1Rhelmets.com. Exceeds DOT / Sizes XXS-3XL. 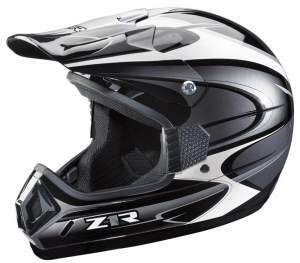 If a lightweight, trick looking dirt helmet is what the young rider in your life is looking for, then the Roost 3 Jr. helmet has them covered. The Roost 3 Jr. is a youth specific shell made with an advanced ABS/Polycarbonate shell with removable liner and cheek pads for comfort. The Roost 3 Jr. is available in 6 colorful graphics: Royal Blue, Red, Yellow, Green, Pink, and Alloy. Sizes: S/M and L/XL.